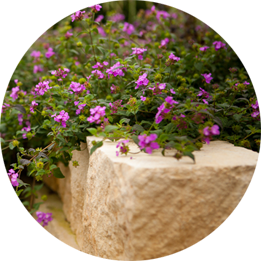 Our designers will work with you to transform your landscaping desires into a professional landscape design. From new landscape to simply sprucing up an existing landscape, our crews are professionals who will work with you throughout the process to build your dream landscape. 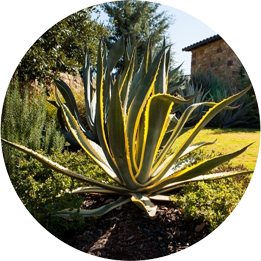 Our irrigation specialists can custom design and install a new system that will effectively and efficiently meet your landscaping needs. Since 1998 we have served the Texas Hill Country area including Boerne, Fredericksburg, Kerrville, Canyon Lake and northern San Antonio. We are dedicated to providing quality work with an unsurpassed level of customer satisfaction. 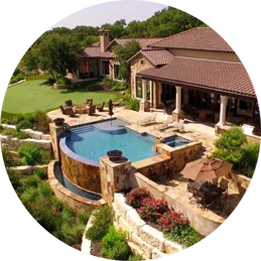 Our goal is to transform your vision into a professional landscape that elevates not only the overall appearance of your property but its value as well.